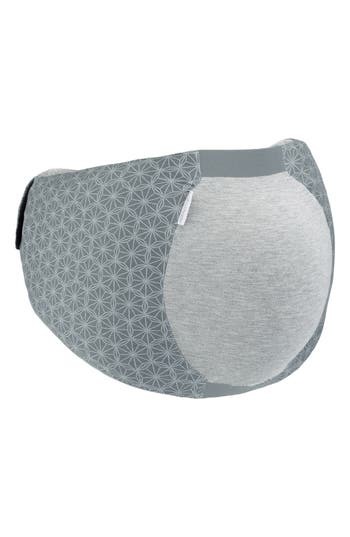 A soft and breathable belt provides support for your baby bump, even when sleeping on your side. The adjustable closure creates a perfect fit in every trimester, and dual memory-foam pads fill the gap between the mattress and your stomach. 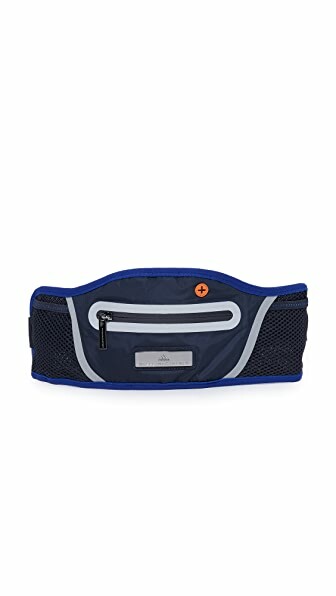 Style Name: Babymoov Dream Belt Maternity Support Belt. Style Number: 5464653. Available in stores. A supple Argentinean leather belt handcrafted in Buenos Aires by local artisans gets a glamorous update with an on-trend skinny silhouette and 24-karat gold-plated snaps. 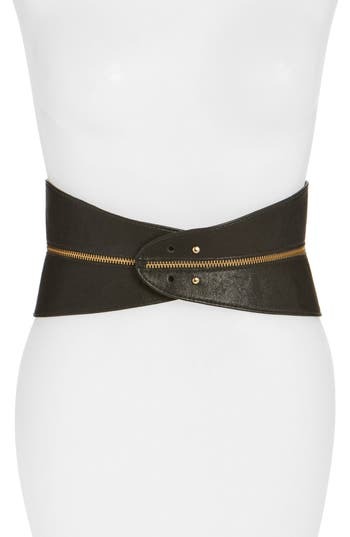 This belt is perfect for adding a chic finishing touch to casual and dressier ensembles alike. 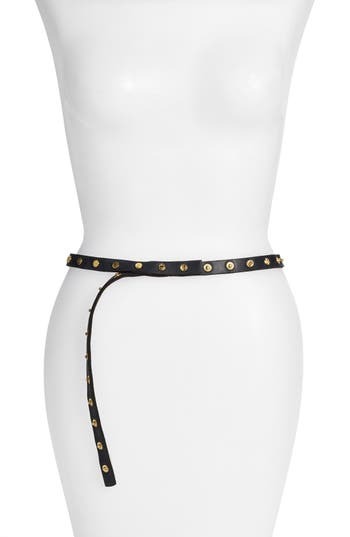 Style Name: Ada 'Cala' Studded Skinny Leather Belt. Style Number: 1191544. Available in stores. 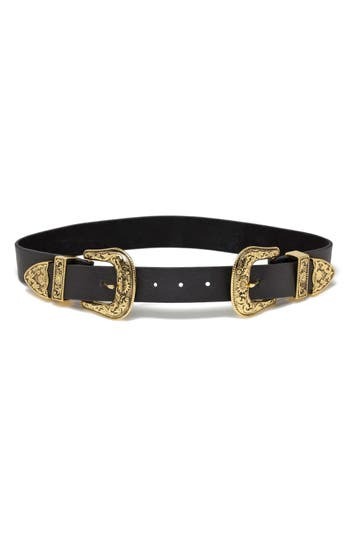 Ornate double buckles gleam against the smooth leather that shapes a statement belt with classic Western styling. Style Name:B-Low The Belt 'Baby Bri Bri' Hip Belt. Style Number: 5003309. Available in stores. 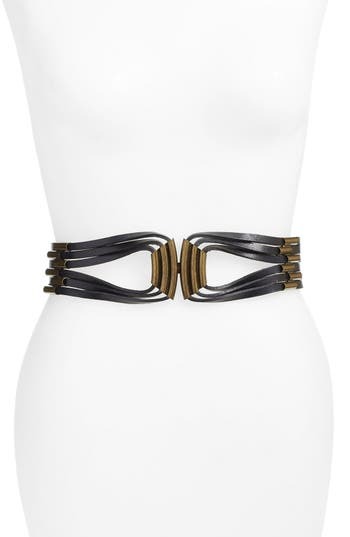 A wraparound belt in smooth leather is accented with polished goldtone hardware. 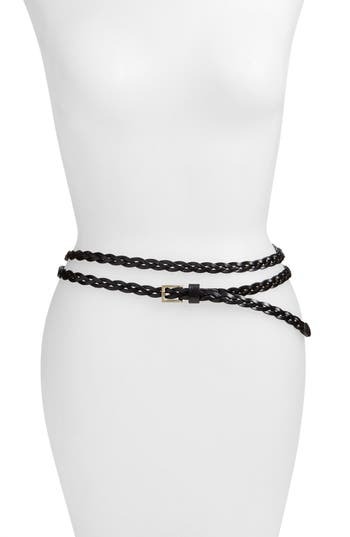 Style Name: Elise M. 'Charlize' Double Wrap Belt. Style Number: 5083008. Available in stores. Golden interlocking dragons lend a regal effect to a handcrafted leather belt that's finished in the back with knotted metal mesh. 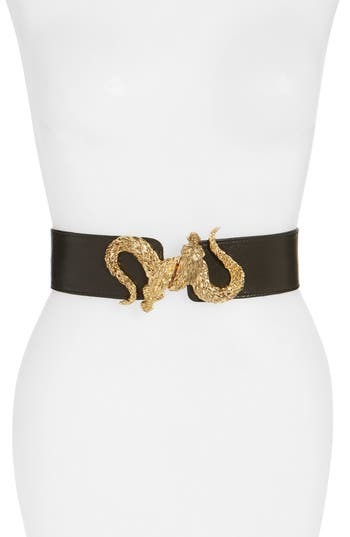 Style Name: Raina 'Penelope - Dragon' Stretch Belt. Style Number: 5073776. Available in stores. Clusters of radiant hand-set crystals ornament this delicate silk ribbon belt that adds glamour to your gown and draws the eye to your waist. Style Name: Jenny Yoo Mischka Crystal Belt. Style Number: 1150510. Available in stores. A silvertone buckle with ornate embossing contrasts beautifully with the smooth leather of this versatile belt that will add a bit of Western style to your ensemble. Style Name: Another Line Skinny Western Belt. Style Number: 5043158. Available in stores. 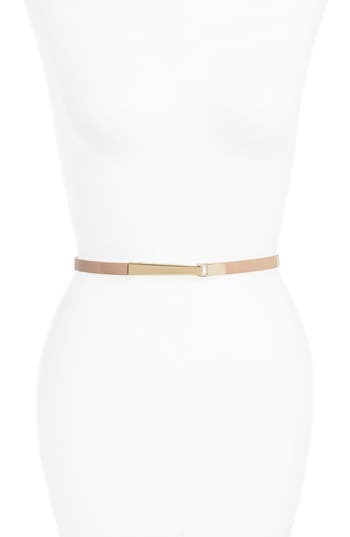 A skinny stretch belt brings attention to the waist with polished interlocking metal bars and glossy patent leather. 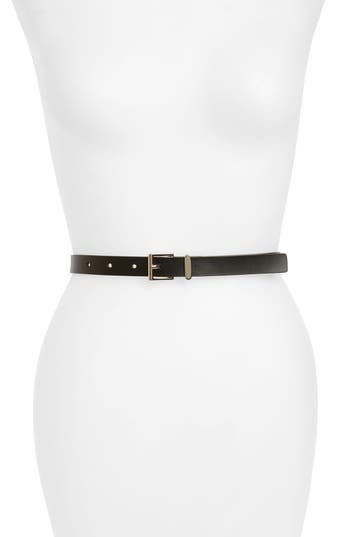 Style Name: Halogen 'Interlock' Skinny Stretch Leather Belt. Style Number: 5024663. Available in stores. 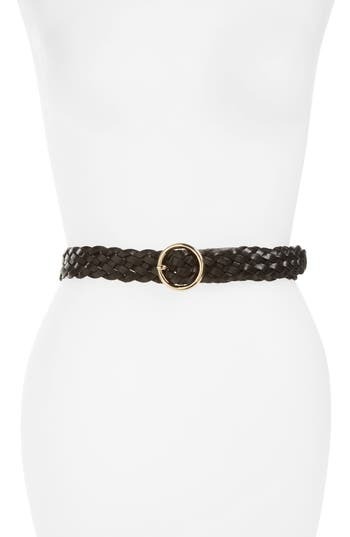 A slender wraparound belt in braided leather and accented with gilt hardware will add a chic finish to any outfit. 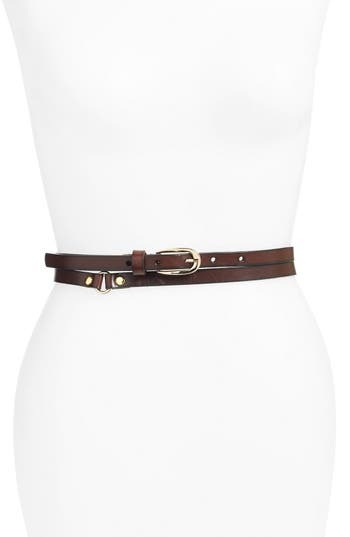 Style Name: Elise M. 'Florence' Calfskin Leather Double Wrap Belt. Style Number: 5162678. Available in stores. A smooth black leather belt handcrafted by artisans in Buenos Aires offers a multitude of styling options from everyday casual to upscale elegance. 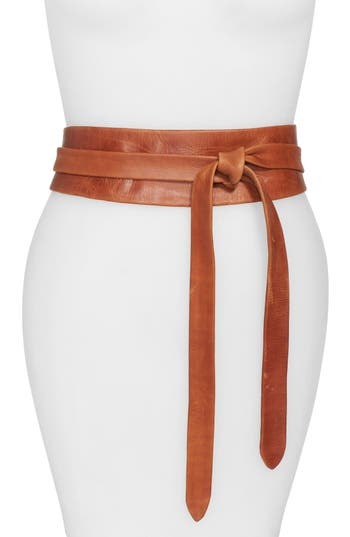 Style Name: Ada Handmade Leather Wrap Belt. Style Number: 1191575. Available in stores. A curvy corset belt handcrafted in the USA from supple leather is highlighted with goldtone zipper teeth and gleaming push studs. Style Name: Raina Leather Corset Belt. Style Number: 5073791. Available in stores. 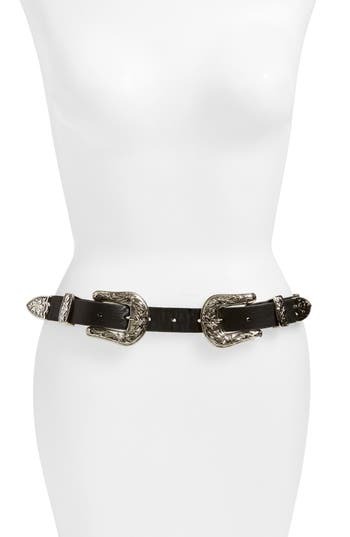 Ornate double buckles add Western flair to a smooth leather belt. Style Name:B-Low The Belt 'Bri Bri' Waist Belt. Style Number: 1097268. Available in stores. Antiqued beads frame the smooth leather straps of a statement belt with elastic in back for a perfect fit. 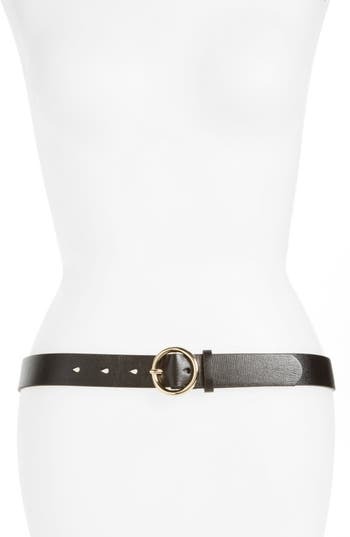 Style Name: Elise M. 'Indigo' Leather Belt. Style Number: 5082997. Available in stores. A slim, versatile belt features polished silvertone hardware for a refined finish. Style Name: Halogen Square Keeper Belt. Style Number: 915232. Available in stores. A slender leather belt wraps your waist twice while tassels lend a decorative touch. Style Name:B-Low The Belt Double Wrap Leather Tassel Belt. Style Number: 1097274. Available in stores. Gleaming hardware adds shine to a versatile faux-leather belt that will add polish to any ensemble. 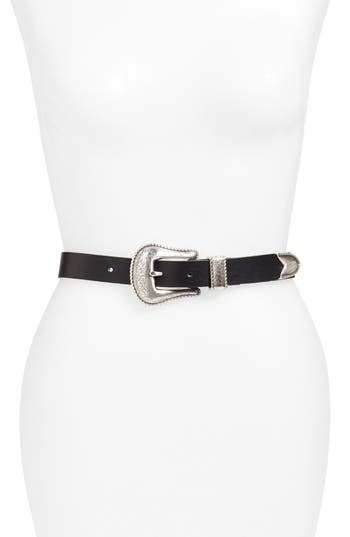 Style Name: Halogen Faux Leather Belt. Style Number: 5205785. Available in stores. A burnished goldtone buckle secures a supple leather belt that's braided for a classic and stylish look. Style Name: Halogen Round Buckle Braided Leather Belt. Style Number: 5211520. Available in stores. Smooth leather defines a clean, essential belt accented with a gleaming tonal buckle. Style Name: Halogen Tailored Trouser Leather Belt (Regular & Plus). Style Number: 680409. Available in stores. Tonal topstitching outlines a wide, waist-defining leather belt fashioned with burnished hardware and discreet gore panels for an impeccable fit. 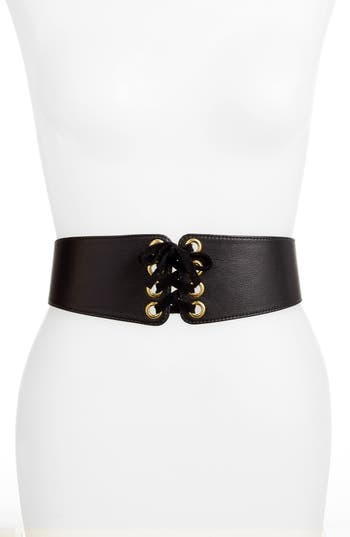 Style Name: Elise M. 'sheila' Leather Belt. Style Number: 5162680. Available in stores. Handcrafted in Buenos Aires from supple Argentinean leather, this braided wrap belt can be snapped at the bag or tied casually in front for a myriad of styling options. 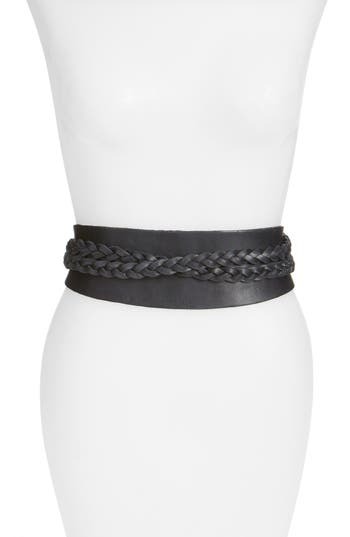 Style Name: Ada 'Dakota' Braided Leather Wrap Belt. Style Number: 5126950. Available in stores. Pinked edges and corset-inspired stitching style a wide leather belt fitted with elastic in back. 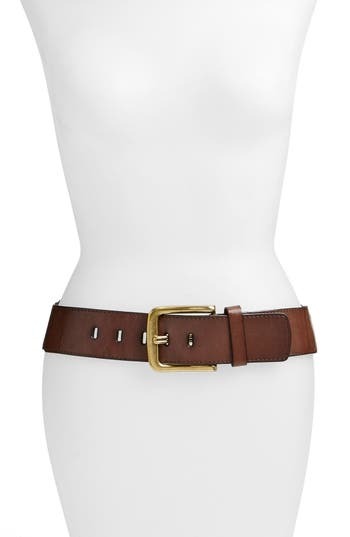 Style Name: Elise M. 'Woodland' Stitched Leather Belt. Style Number: 5082993. Available in stores. 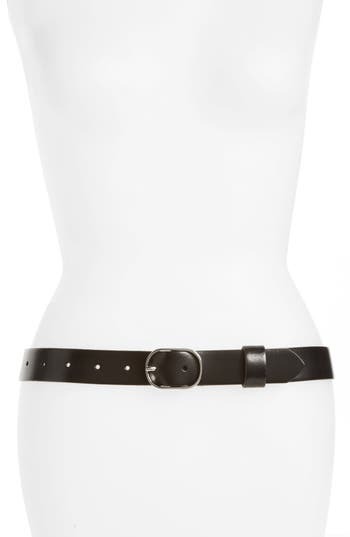 A corset belt crafted in the USA from smooth calfskin leather is certain to give any ensemble an edgy look. Style Name: Raina Leather Corset Belt. Style Number: 5323771. Available in stores. Vibrant embroidery highlights the mirrored sequins of a smooth leather belt that merges high fashion with vintage street style. 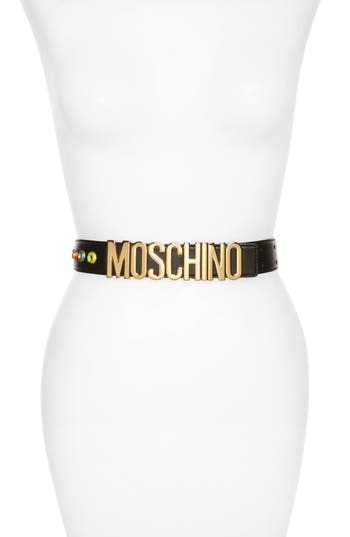 Style Name: Moschino Patti Logo Plate Leather Belt. Style Number: 5269467. Available in stores. Intricately woven strips of tricolor calfskin leather twine in and out of chunky goldtone chain on a chic statement belt. 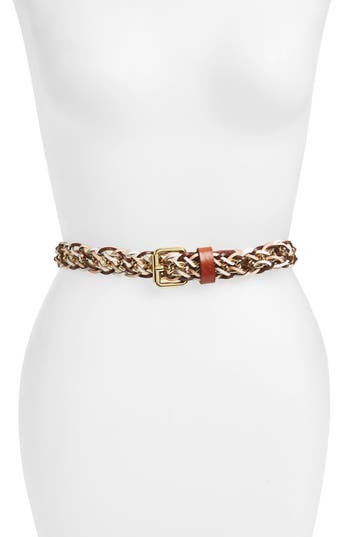 Style Name: Rebecca Minkoff Leather & Chain Belt. Style Number: 5320845. Available in stores. Western-inspired etching on the buckle and chunky whipstitched trim add a saucy cowgirl vibe to an on-trend belt made of supple calfskin leather. 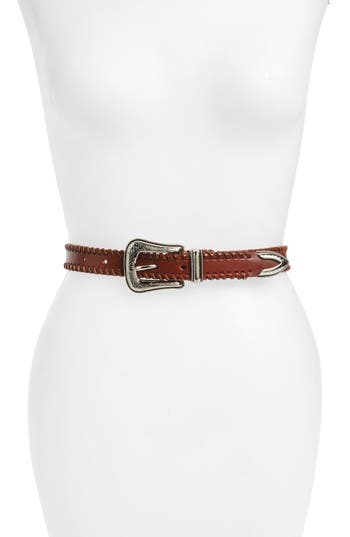 Style Name: Rebecca Minkoff Whipstitched Western Leather Belt. Style Number: 5320846. Available in stores. A gleaming Tory Burch medallion punctuates a slim leather belt that reverses to provide maximum versatility. 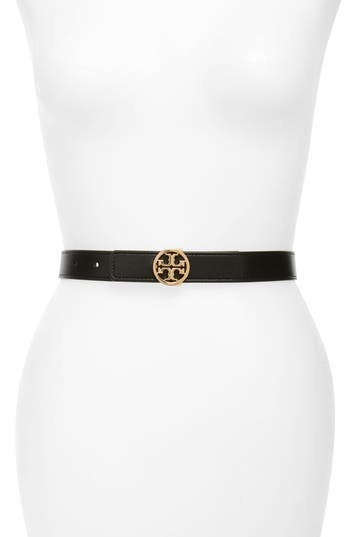 Style Name: Tory Burch Reversible Leather Belt. Style Number: 5332544. Available in stores. 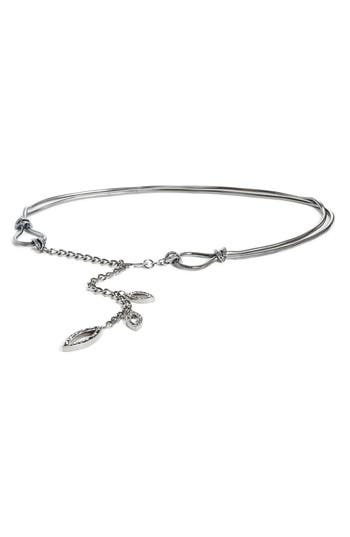 Swarovski crystals and swaying leaf charms sparkle from a polished snake-chain belt in a looped design. A hook closure adjusts the piece to the perfect length, allowing it to be worn just below the waist or slung low on the hips. Style Name: St. John Collection Swarovski Crystal Leaf Chain Belt. Style Number: 5345303. Available in stores. 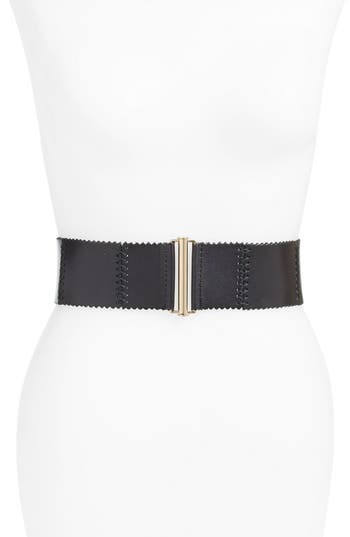 Slim, layered straps add interesting dimension on a wide faux-leather belt. 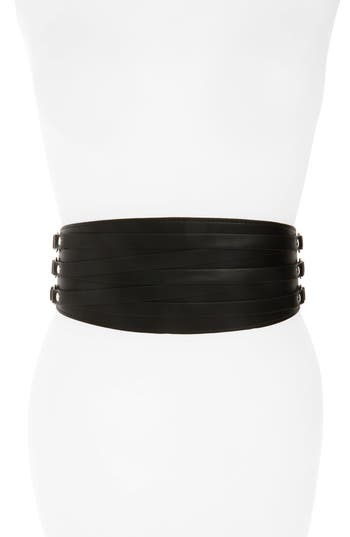 Style Name: Halogen Wide Faux Leather Belt. Style Number: 5204059. Available in stores. 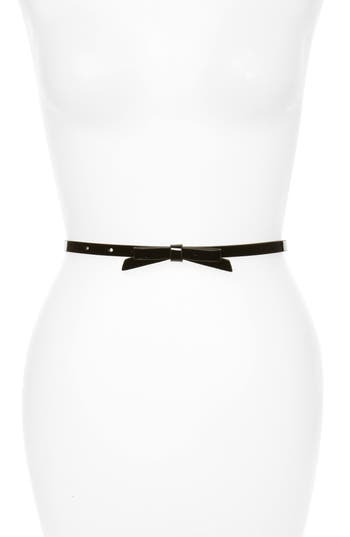 Smooth faux leather defines a slender belt accentuated with a small bow. Style Name: Halogen Patent Bow Belt. Style Number: 5289689. Available in stores.